What is INDD and what does it stand for? To give people a one-day moratorium from all of the weight loss plans, diets, and other obsessive weight monitoring systems out there. Take time to learn and understand the facts behind weight-loss dieting, general health, and body shapes and sizes. A day to celebrate the natural beauty and diversity to be found in everyone of all shapes and sizes. Reaffirm the fact that everyone has the right to discover fitness, health, emotional, and spiritual well-being. Recognize that violence towards women has been perpetuated from dieting and other weight-loss obsessions. Honor all of the victims that have lost their lives prematurely due to weight-loss surgeries, and eating disorders. Help put an end to fat-phobia, sizeism, and weight discrimination. So, today I DID NOT DIET!! In fact, I don’t diet on any day…I have changed to a PlantPure eating lifestyle, which is not a diet. It is truly changing the way I eat to make myself healthier. 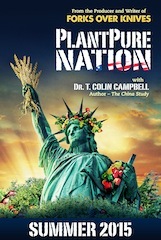 While on the subject of PlantPure, a couple of quick notes about the PlantPure Nation – May 9th they are sponsoring a HUGE rally in Washington, D.C. If you can make it, please attend. This rally is being filmed for inclusion in the final cut of the PlantPure Nation documentary film that will be released nationally beginning the week of July 4th. Being PlantPure is a good thing. So, to celebrate INDD, Julianne and I went to our favorite Chinese place and got some great “No Diet” food. 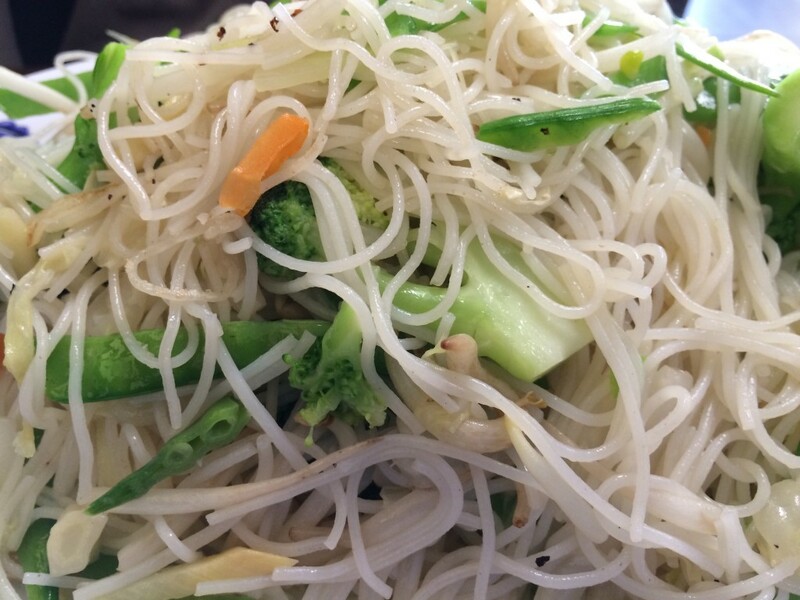 We enjoyed veggie sushi, veggie Lo Mein and veggie Mei Fun. All PlantPure. The owner/manager JJ Chen even cooked it without oil for us!! Great Stuff!! 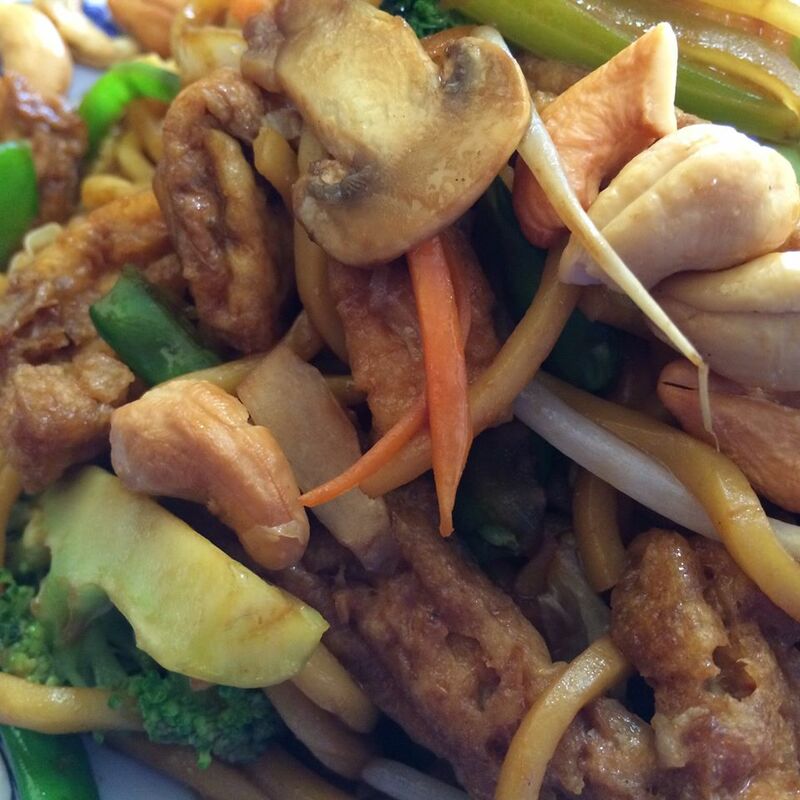 When we go to Asian Bistro Express, we are treated like family. They call us by name, they make things the way we like them and always make sure we are happy. And, I must say, the price is right!! 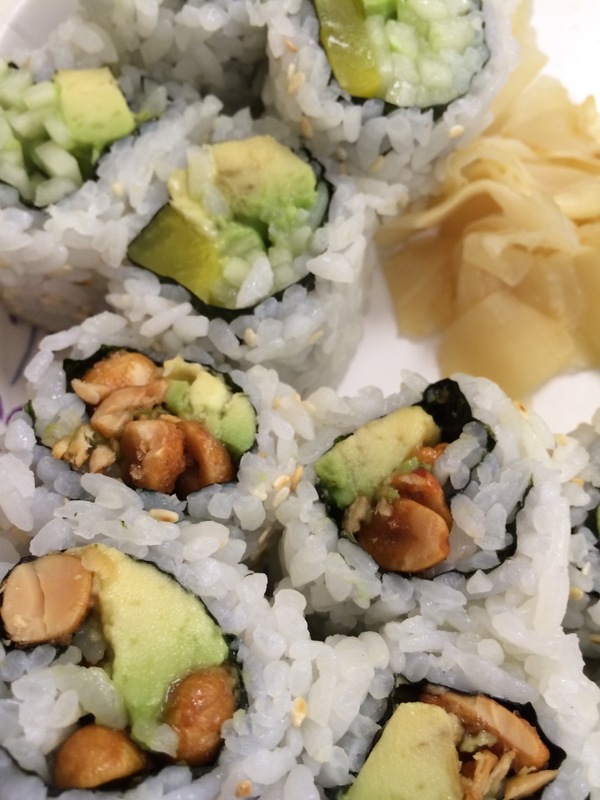 Asian Bistro sushi rolls…all veggie and PlantPure…and ooh…that Wasabi Rush!! 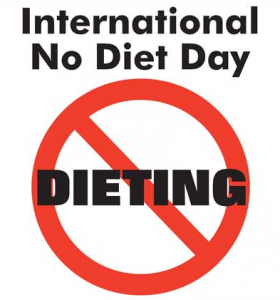 It was a good day for a No Diet day…we enjoyed it! Though I didn’t get a walk in, I did feel energized and did need a “NO WALK” day to rest the knees. 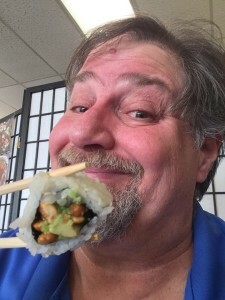 Team Sumoflam continues to move forward! There are only 2 days before the discounted rates for the Great American Fitness Challenge registration expire. If you have not registered, now is a good time to do it! To remind you, it will be held at the beautiful Kentucky Horse Park and features a 5K, a 15K, an Open Steeplechase and an Elite Steeplechase. You can register by clicking the link below. Anyone that participates on Team Sumoflam will get a specially designed t-shirt with artwork by singer/songwriter/artist Antsy McClain. 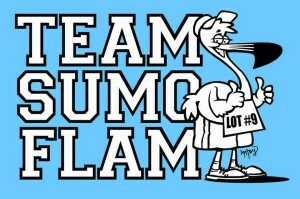 Team Sumoflam Logo for T-shirts. Simple yet fun.